Welcome to the home page of Ringdijk North 5B in Cadzand on the North Sea coast in Zeeuws Vlaanderen in Zeeland. The beach is nearby! Our private house is for rent all year, directly from the owner! No additional costs through agencies or booking fees! Since January 2016 is also holiday home Ringdijk North 5B for rent. This holiday home, with many terraces and close to the sea, overlooking the polder landscape can accommodate 14 people. Perfect for several families or a family getaway, this is the group very appropriate! The home has 7 bedrooms, 6 bathrooms, a large living room with open kitchen. 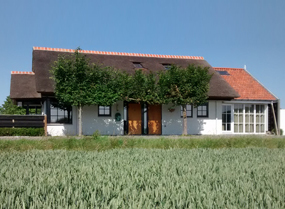 Rental Ringdijk North 5B is found in Cadzand in Zeeland – Zeeuws Vlaanderen. 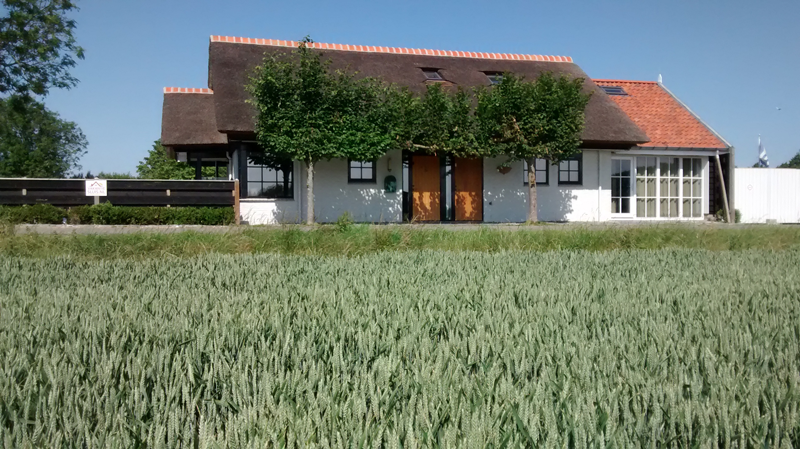 The cottage is located 4/7/10 kilometers from the place Retranchement / Sluis / Knokke. Sluis is known for its hearty nature, many restaurants and shops are open 7 days a week. Besides Sluis and Retranchement are also the towns of Knokke, Bruges, Antwerp and Ghent very close. Knokke is located at 10 km, with hundreds of shops, which are also open again on Sunday! Bruges is only 20 kilometers and is also easy to do on the bike. Bruges is of course the culture city of Belgium and has even the recognition of World Heritage by UNESCO! Finally finding Ghent 45 km, according to Lonely Planet, Ghent is the best kept secret in Europe. Seats seven (!) On the list of cities to visit in the world!